We provide complete asphalt construction and maintenance solutions. Welcome to WR Paving Ltd. - we are a Calgary based asphalt construction business, offering complete asphalt construction and maintenance solutions as well as excavation, grading, preparation, and finishing work for your next project! There is no job too big or too small for WR - from roadways to parking lots and small patch or repair work - WR is the obvious choice offering unmatched quality, value, and customer satisfaction. Our website is still under construction, so if you don't find exactly what you were looking for please contact us at (403)-899-6563 or under the "Contact" tab. We look forward to earning your business and trust through hard work and a quality product. A durable, cost effective surface for your residential driveway. Smart, efficient solutions to meet the asphalt construction needs of your business or organization. 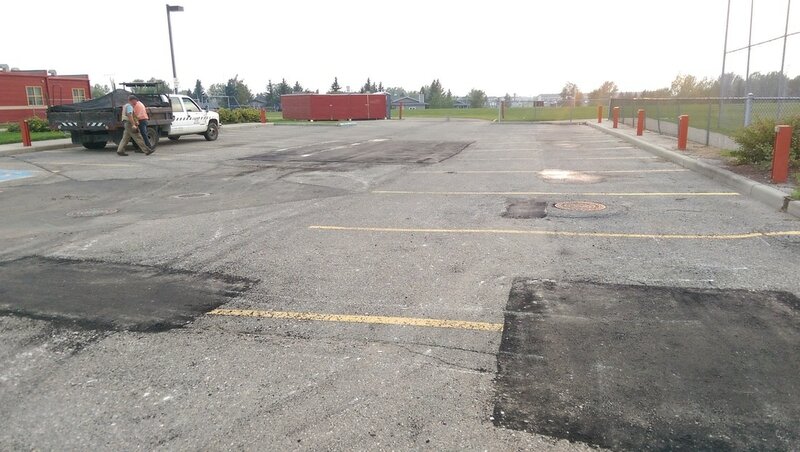 Quick, long lasting repairs to get your asphalt surface back to performing as it should.